The Royal Horticultural Society's Wisley Gardens is a beautiful green space situated in the Surrey countryside, a short distance from London. Lying just the other side of the M25, the gardens are ideally located for a day trip out of the capital, giving you the chance to replenish your lungs with fresh air, and your mind with sights and sounds laid on by Mother Nature (with a little help from the employees at Wisley Gardens). 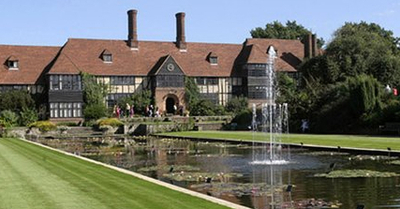 Wisley Gardens is one of the most popular gardens in the country in terms of visitor numbers, but its 240 acres make it large enough to comfortably absorb them all so you never feel that the place is particularly crowded. There's plenty to see, including orchards, rose gardens, wild and formal gardens, a canal with lilies, a vegetable garden, an arboretum, and a pinetum. A recent addition is the elegant Glasshouse, featuring three climatic zones (tropical; moist temperate; dry temperate), which ensures that no matter the season, you can always find an exotic splash of vibrant colour somewhere within the gardens. The Glasshouse's impressive collection of plants from around the world includes, among others, a number of endangered species together with many different types of orchid. The Glasshouse is also home to the Clore Learning Centre and the Growing Lab. Here you can expand your knowledge of glasshouse gardening and turn your green fingers the colour of mud by getting hands-on. And there's the Root Zone too, an interactive area that takes you underground and explains exactly what goes on down there to make all the wonderful above-ground stuff possible. There are model gardens to inspire, and a rock garden to admire. Take a relaxing walk through the orchards or rest up at a cafe with a coffee. Options for eating include The Honest Sausage, the Conservatory Cafe and the Conservatory Dining Room. If the gardens leave you itching to get potting and planting back in your own garden, pop into the Wisley Plant Centre, which stocks a breathtaking number of plants. Besides the varying seasonal landscapes, a range of events throughout the year make Wisley Gardens a place you can visit numerous times without ever feeling you've seen it all before. Why? Take a break from city life. Where: Near Woking, Surrey. Nearest train stations: West Byfleet and Woking. 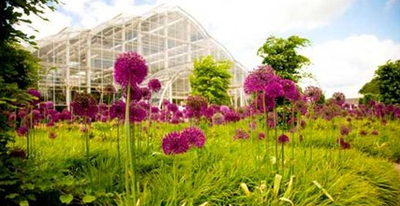 Cost: Royal Horticultural Society members - free; adults - £9.90; children (6 to 16 yrs) - £3.50; under 6 yrs - free.